Today’s gift ideas are all about shopping for your best girlfriends. Granted, the gift ideas here could be extended to other categories, but I thought they were especially fitting as friend choices because A) They’re in a reasonable price range (nothing over the $50 mark) and B) They’re a tad less personal than something you might buy for your mom. No matter how sister-like your relationships with your friends are, there is always a slightly more generic tinge to the gifts you buy. Hence why I emphasize, these are great ideas for your besties, but they’ll work wonders in a number of situations. And to make things extra fun, I’ve themed the gifts to be grounded in the metals of friendship – silver and gold. I should also point out, if you’ve just started dating a new girl, these also make ideal picks. They’re fun and festive and girly, but they aren’t implying a whole lot in terms of ‘meaning’ (you may want to steer clear of the Infinity Necklace though). As someone who is a fervent supporter of wearing sparkly stuff year-round, few things delight me as much as the explosion of glitter and shine come the holiday season. 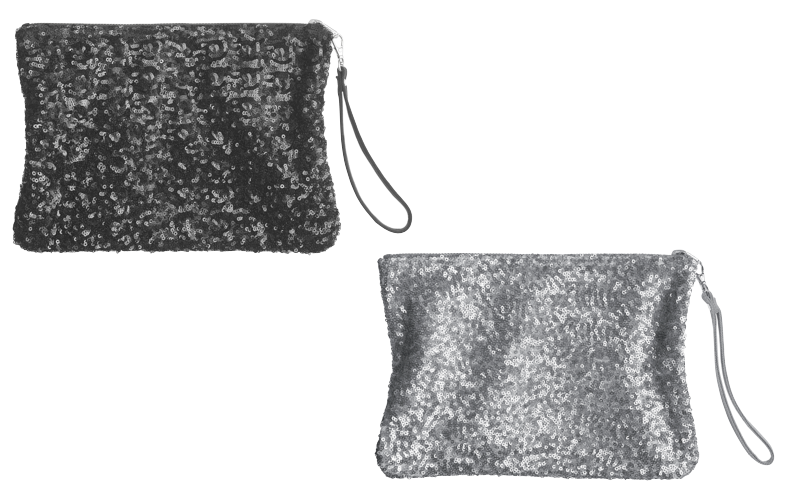 Take these all-out sequinned wristlets from Old Navy as an example. Available in not-so-basic black and shimmery pewter, they’re the perfect accessory to add some pow to any gal’s holiday party wardrobe. And if you’ve got some cash to spare, consider filling it with a few little extras for a gift within a gift. 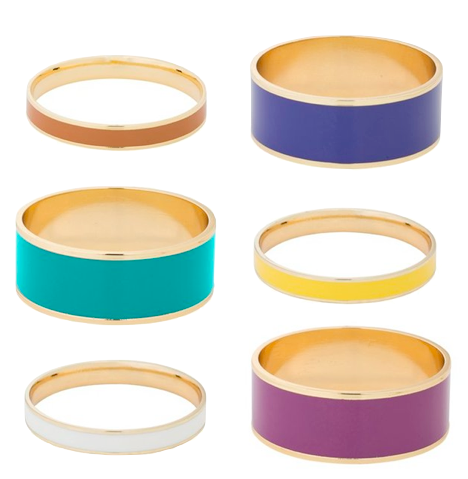 Gild your wrists with these gold-and-jewel-tone stacking bangles from Indigo. With two styles and a dozen shades, these are a playful way to add a pop of colour to your wardrobe. Not only do they look pretty luxe, they’re actually plated with real 14K gold. Stock up on a few of your girlfriend’s favourite shades and tell her where to buy the rest so she can collect the full set. 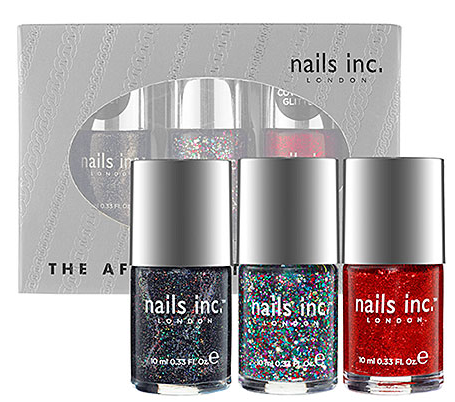 Another sparkly pick with a festive ring to it, this three-pack of limited edition, full-size polishes from British brand Nails Inc. is exclusive to Sephora. Personally, I love glittery polish particularly around the holidays – I’ve received endless compliments when I deck my nails out like I’ve got tinsel fingertips – and this three-pack offers three shades and three types of glitter polish. Go for the brand’s signature ‘3D Glitter’ in black, chunky rainbow nails, or festive red micro-sparkles for a look that’s fit for a holiday party or two! 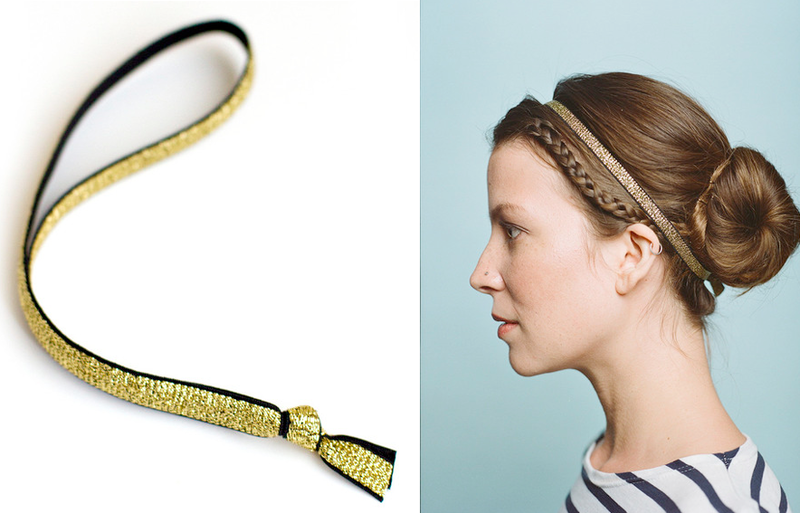 Add a pop of sparkle to any ol’ outfit with one of these glittery sparkle belts from J Crew. Rock it at holiday parties or on the weekends over a LBD, or jazz up your work day cashmere sweater and khaki combo with a shot of blingy magic. A fail safe pick for your fashionably inclined friendly. This pretty trinket box is the perfect place to stash her most treasured pieces – from that elegant necklace you gave her for being a bridesmaid to the ring her mom passed down from her great-grandmother. Want to make it an extra-special memory? Tuck in a fortune upon gifting it and watch as she lights up when you ‘predict’ the very thing she’s looking for most – whether a prosperous year at work, a bouncing new arrival, or a partner to share her dreams with. She’ll be stepping out in style when her purse is filled with this gem-encrusted make-up palette from Sephora’s house line. Filled with eight universally flattering neutral shadows, five balms, a blush, plus the brushes and mirror you’ll need to get your look down pat, this is an amazing deal that will fit into any shopper’s budget and any best friend’s make-up collection. Help your best friend indulge the next day she’s feeling down with this luxury gift basket of Godiva chocolates. Warm up with two packages of hot cocoa, nibble on some truffles, or make the ultimate decadent s’mores treat with dark chocolate-covered graham crackers. Best of all, the holiday-themed planter the set comes in is totally reusable. Bring along a poinsettia for her to plant after she’s made her way through the goodies. What’s the fastest way to brighten up those ol’ dancing shoes? With a pair of glittering shoe clips from Absolutely Audrey. Available in dozens of styles (and colours – I just highlighted a few silver / gold styles here), these simply clips can hook onto the toe or the heel of your favourite pair of flats or heels to instantly jazz up your look. Hint: if you’re gifting bridesmaids or a bride-to-be, these also make great wedding party favours. Keep those cocktail rings in order with this whimsical jewelry holder, designed to hook up your favourite costume ambles and keep them nice and organized. Admittedly the jewelry maniac of your circle probably won’t be able to make this work (unless she wants to highlight her favourite pieces) but for the average gal, this is a splendid way to show off your sparklers – and keep tabs on your wedding and engagement rings when not in use. Best of all, it’s at the $10 mark, making it a perfect choice for a cheapie Secret Santa exchange. The infinity symbol is having something of a moment as of late, in part thanks to blockbuster series like Revenge which features the symbol prominently. If you want to symbolize the everlasting sisterly bond between you and a bestie, what better way than with this sterling silver necklace, complete with a pretty gold ring-like infinity pendant? It’s a universally flattering and elegant design, and it’s pretty timeless too – just like your friendship. I’m actually sort of impressed with myself for finding what I could classify as a Silver/Gold gift that ISN’T sparkly or metallic. 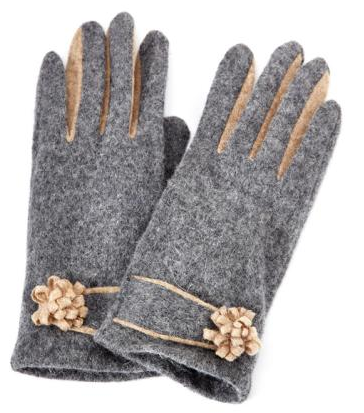 I’m talking about these too-cute wool gloves from RW & Co, in a universally flattering shade of silver-grey, accented with pops of golden-beige along the fingers and wrists. The neutral colour works wonders with just about any coat, while the girly accents make them feel a little more special. Plus, what Canadian girl doesn’t need a good pair of gloves to get her through the dreary winter months? 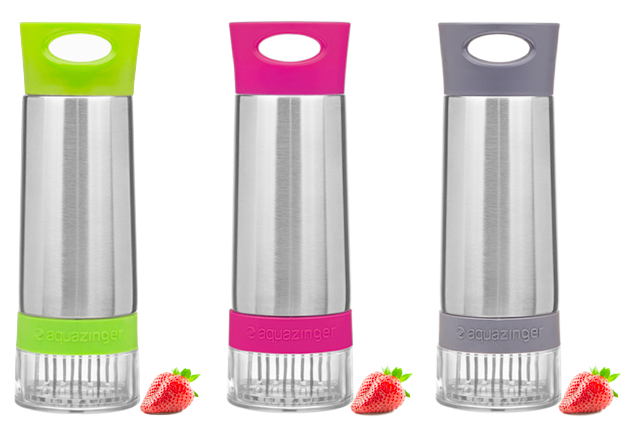 Who says flasks are just for boys? Although, for the record, this is probably the most gender-neutral pick on this girlfriend-oriented list, I feel like there’s a little bit of femininity to these stainless steel flasks. 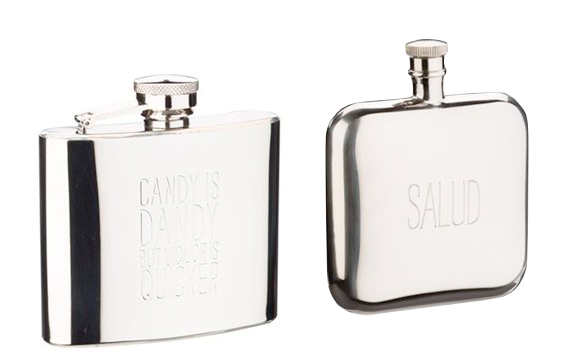 Available in two styles with slightly different features, the engraved messaging is really what sets these fun flasks apart from the rest. Bring to mind Gene Wilder’s interpretation of Willy Wonka with the Candy is Dandy but Liquor is Quicker flask, or interject a little multi-culti cuteness with the Spanish greeting of Salud, aka an alternative way to say Cheers! Avoid the head-shrinking feeling of a temple-squeezing traditional headband and opt for a pretty glittery elastic style instead, from hair accessory shop Mane Message. The gist behind all of Mane Message’s products – a mix of hair ties and headbands – is to create pieces that are comfortable, flexible (they double as wrist accessories when not in use), and utterly wearable. They actually come in dozens of styles and patterns (including a Christmas and Hanukkah collection), but I zeroed in on this instantly festive outfit finisher. Simply split it on and amp up your look a few glittery notches. Be holiday party-ready with this fabulous sequinned skirt, designed to make even the most austere dresser have an extra spring in her step. What’s cool about a piece like this is it’s actually shockingly wearable, even for the non-fashionably-inclined. Don it for your office holiday luncheon or Christmas dinner with a black turtleneck and tights, or pair it with a bold colourful tank and dangling earrings for a night on the town or New Year’s Eve! How does one describe the smell of winter? According to Canadian-headquartered skincare company, Elizabeth Grant, it’s with the spicy smell of cloves and the warm tones of honey. At least, that’s what I inhaled when I took a big deep breath of the brand’s limited-edition holiday shower gel duo with two complementary toasted-sugar scents of Winter Dreams (layered with delectable caramel) and Christmas Morning (with channels freshly baked gingerbread). The festive packaging, the shimmery formula, the dual-action (it works as bubble bath or shower gel!) and the skin-nourishing qualities make this an absolutely splendid gift selection for your favourite female. 2) Entries are limited to one per person / per email address / per household (or more if you score bonus entries). A random draw will be conducted on or around December 17th to select the winner, who will have 48 hours to respond before another winner is chosen in their place. 4) Bonus Entry #1: Like Indigo on Facebook, leave a comment (you’re under no obligation to mention the CGG), and leave your FB handle in the comments below. 5) Bonus Entry #2: Like Elizabeth Grant on Facebook, wash, rinse & repeat as per #4 above. I love the fitted gloves.. So unique! 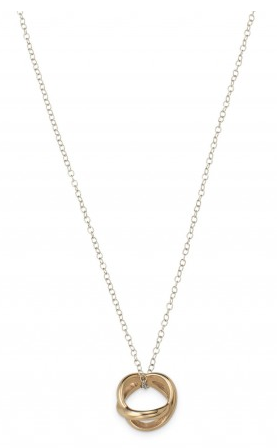 The Odette infinity necklace is simple and beautiful! I love the flasks, and my brother would too! Great gift ideas again! I love the Octopus Ring Holder!! Also I liked Indigo on fb. I love the Odette Infinity necklace! As well as the Fitted Wool Gloves both items would be lovely gifts for any women on my list. Thanks for the ideas! I liked Elizabeth Grants FB, on FB I am Holly Hill. 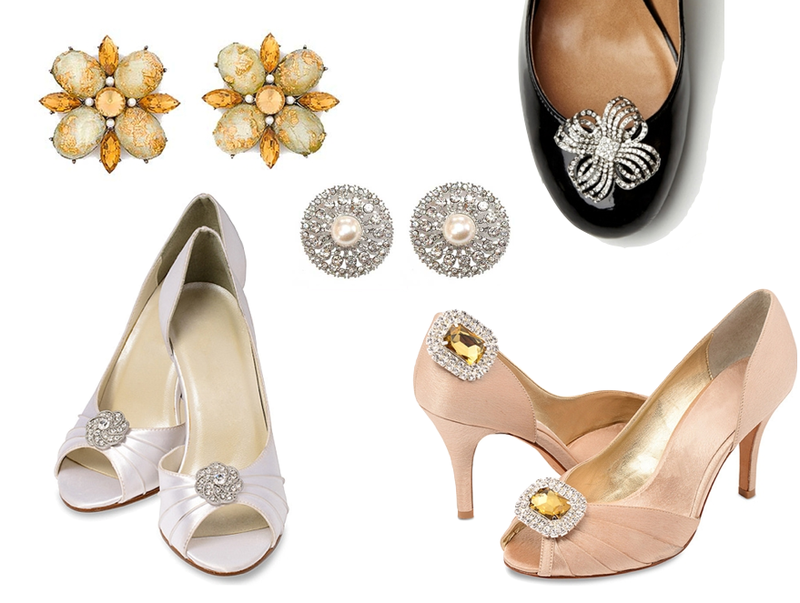 Love the Audrey shoe clips. oooh…I just Love the nail polishes by Nails Inc….so glam! I really love the Wool Gloves idea: easy price range, practical & definitely feminine. Thank-you! I think the fitted wool gloves are darling. 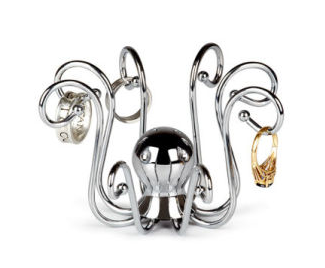 The Octopus Ring Holder is really cute and practical. I am interested in the Elizabeth Grant bath gel – cloves and honey – That’s a very appealing combination. Love that Octopus Ring Holder i would use it the most. The ‘Candy is Dandy’ flash is pretty sweet! 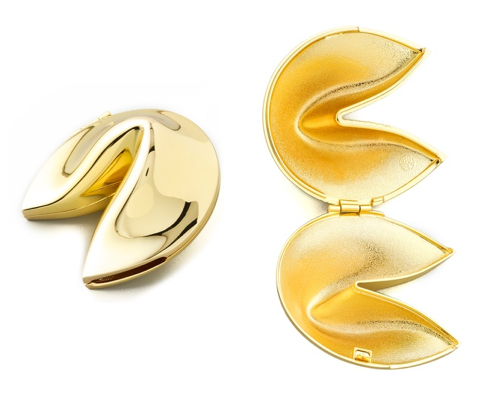 The gold gift idea is wonderful – love the fortune cookie keepsake box. The Godiva Gold Metal Planter Gift Set looks like an excellent choice. Thank you. I like the Sequin Clutches. I like the shimmer headbands! The Godiva Gold Metal Planter Gift Set is precious. I love the Odette Infinity Necklace and the Octopus Ring Holder the best. Liked Indigo on Facebook and left a comment! Liked Elizabeth Grat on Facebook and left a comment! I love the silver sequin skirt! I love the wool gloves. They are different, practical, and pretty. Love the Odette Infinity Necklace!! I love the octopus ring holder. Super cute!! The gift I think is precious is the “Odette Infinity Necklace.” So pretty. I like the Fortune Cookie box. Its beautiful. I am torn between the gloves and the sequin skirt! The gloves just have such a ladylike charm to them – and the skirt is so perfect for the holiday season. Very torn! The silver or gold gift idea I think is absolutely precious (metal!) is the “Godiva Gold Metal Planter Gift Set – $34.99 @ The Bay”. How can you go wrong with chocolate! I love both but silver is really special! 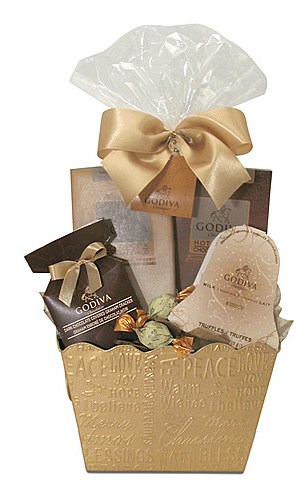 I love the Godiva Gold Metal Planter Gift Basket!! I think the Godiva Gold Metal Planter Gift Set is a fabulous idea for those you are not too close to, yet want a great gift for – like a boss, or a coworker that was extra helpful ! I really like the sequin skirt. The fortune cookie box is unique! i think the shower gels would be fine for me! Those silver grey gloves are Adorable! from RW & Co.
Love the octopus ring holder! I really like the fitted wool gloves from RW&Co. Very pretty. My favourite gift idea is the inifinity necklace. the joe fresh sequin skirt is so cute!! the Absolutely Audrey Shoe Clips are the best, I think!! 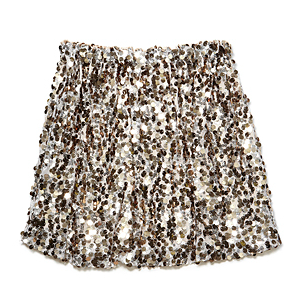 joe Fresh sequin skirt is adorable! Godiva Gold Metal Planter Gift Set looks great ! I would pick the Elizabeth Grant bath and body duo. I can’t resist chocolate so I would have to pick the Godiva Gold Metal Planter Gift set. I love the Godiva Gold Metal Planter! Sorry I meant Elizabeth GRANT! Lol wrong fabulous lady! Liked Elizabeth Grant on Facebook. I really like the polishes. The more sparky the better. I really like the gold fortune cookie! I’ve never seen that before and I think you could incorporate a cute engagement with it! I’ve been a fan of the Elizabeth grant products forever. I love the Godiva Gold Metal Planter Gift Set (can’t beat chocolate)! I Like Indigo on Facebook and went over and said “hi” from the Canadian Gift Guide! the infinity necklace is so pretty. i don’t usually wear necklaces, but i wouldn’t want to take this one off! I love the flasks & the octopus ring holder! The fortune cookie case looks adorable! The Fortune Cookie Box is truly unique – a great stocking stuffer! I like the Blinged Palette and Nails Inc from Sephora. I love the Fortune Cookie box. My sister-in-law is Chinese and I would so love to give this to her. Liked on facebook (Theresa Miller) and commented. I think that the fortune cookie is pretty cute, but that the Black & Gold Shimmer Headband is the best! I like the Blinged Palette and Nails Inc from Sephora and the fortune cookie box. I adore those fitted gloves. Lovely! I like the Nails Inc. Classy and sassy! I think the Glitter Belts are the most precious. Love the fortune cookie box! I love the J crew sparkle belts and the Nails Inc. ‘The After Party’ Gift Set. 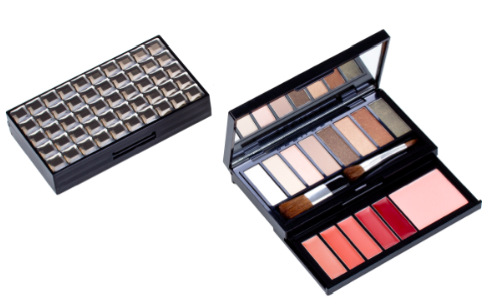 I love the Sephora blinged palette and the Elizabeth Grant set. Once I heard caramel, that was it for me! But it is really hard to choose because the enamel bangles were awesome, I loved the grey gloves and those Audrey shoe clips were darling! Thank you for finding so any adorable things. The enamel bracelets look great! I LOVE the octopus ring holder!! I love the nail polishes by Nails Inc, perfect for NEW YEARS party! The wool gloves are so cute I’d love to have them! I love the glitter belts! So cute!